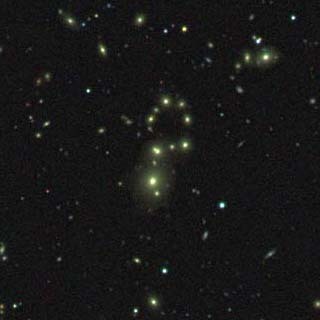 Like ducks, galaxies cluster not out of chance, but because they want to be near one another. Of course, unlike ducks, galaxies have no desires; the thing that makes them "want" to be together is the force of gravity. Since gravity is always attractive, it will attract galaxies toward one another. So as the universe ages and evolves, you would expect that galaxies would become more and more clustered. Clustering is understood and measured in terms of statistics. For example, if a biologist wants to study the clustering behavior of ducks, he or she must study many groups of ducks, at many different times on many different ponds. If an astronomer wants to study the clustering of galaxies, he or she must have a very large systematic survey - a map - of where galaxies are. The Sloan Digital Sky Survey will provide such a map. With the SDSS's map, astronomers will be able to answer an important question about the large-scale structure of the universe: at how big a scale do you have to look before the universe starts to look uniform? One of astronomy's basic questions today is, "What is the largest structure in the universe?" We have found clusters and superclusters, and now even clusters of superclusters, but are there superclusters of superclusters, and so on? In other words, at what scale do galaxies, or clusters or galaxies, appear to be randomly distributed? 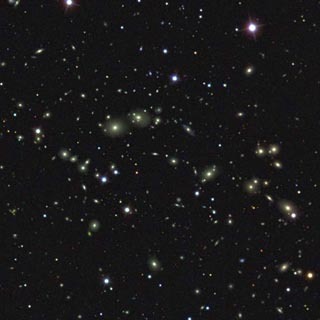 But if the SDSS proves astronomers right, and the universe is uniform over the largest scales, then why do galaxies form clusters and superclusters at smaller scales? The answer to this question lies in "random noise processes," which have analogous examples in everyday life. A power spectrum shows how waves with different wavelengths contribute to a whole. Random noise processes show up at shorter wavelengths. A power spectrum like this could be used to analyze ocean waves - or the structure of the universe. 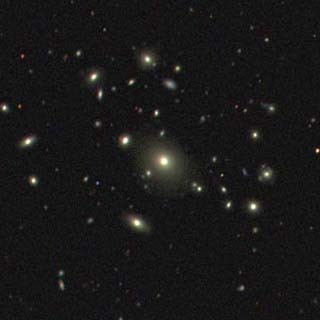 Knowing how galaxies cluster can give cosmologists information on other fundamental properties of the universe as well. 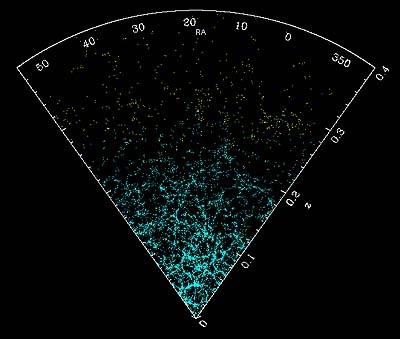 For example, cosmologists will be able to use these data to measure the density of the universe. 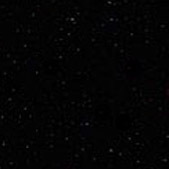 Knowing the universe's density will help them decide between various theories of dark matter, which will allow them to predict the ultimate fate of the universe.